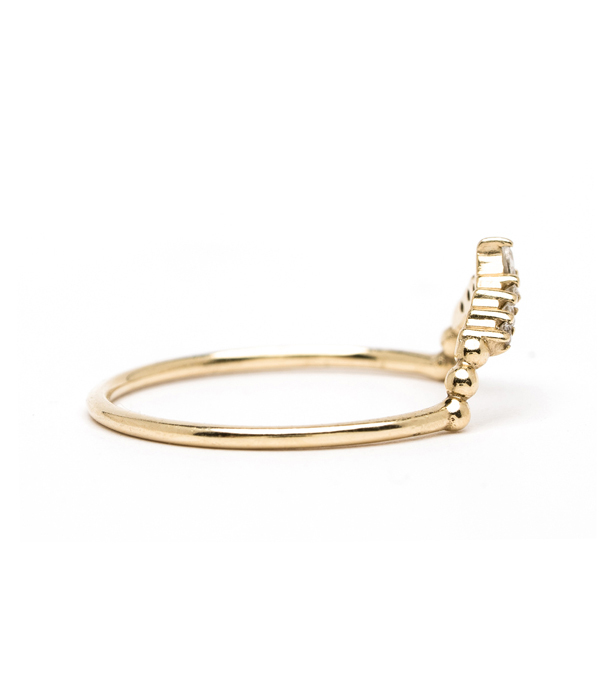 The tiara represents a literal "peak" of any elegant outfit. 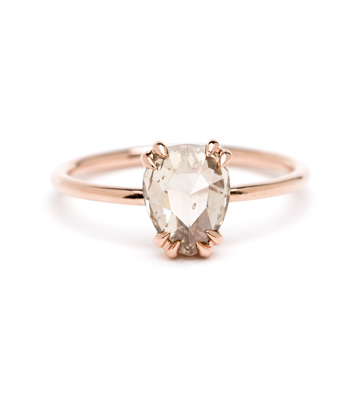 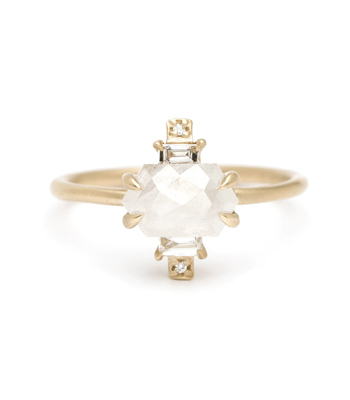 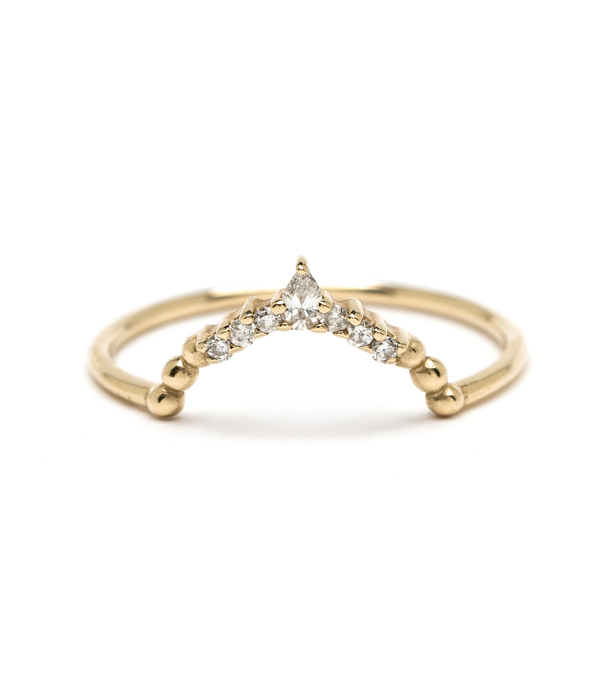 This petite tiara stacking ring is the perfect way to accentuate and frame your favorite solitaire. 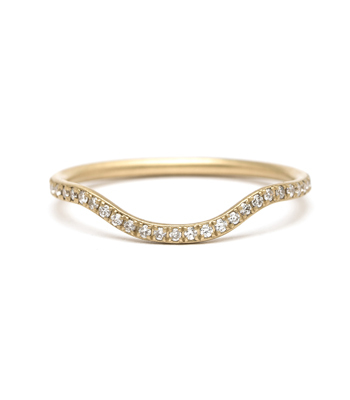 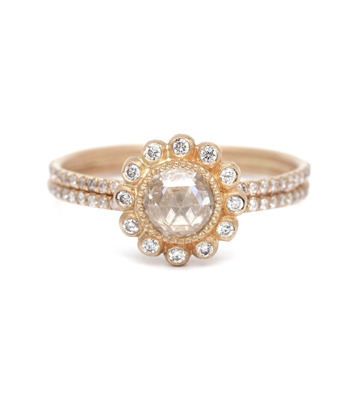 Golden beads form a delicate arc, highlighted with four round diamond accents, and a tiny diamond pear shape in the center, bringing this band to a dramatic point and add a regal flair to any set of stacking rings. 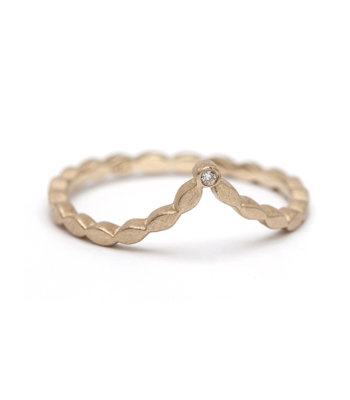 This 14K solid gold stacking ring is set with 0.08 ctw of diamonds, and is handcrafted by our artisan jewelers in Los Angeles. 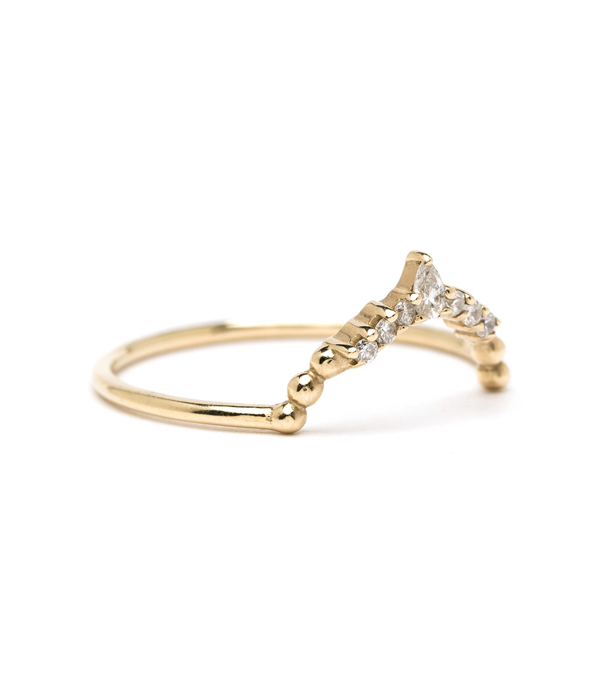 Categories: Alethea, Nesting Bands, Rings, Stacking Rings, Women's Wedding Bands.